So I’ve been a bit absent on the blogging front the last week or so, but I’ve still been eating so that’s fine. 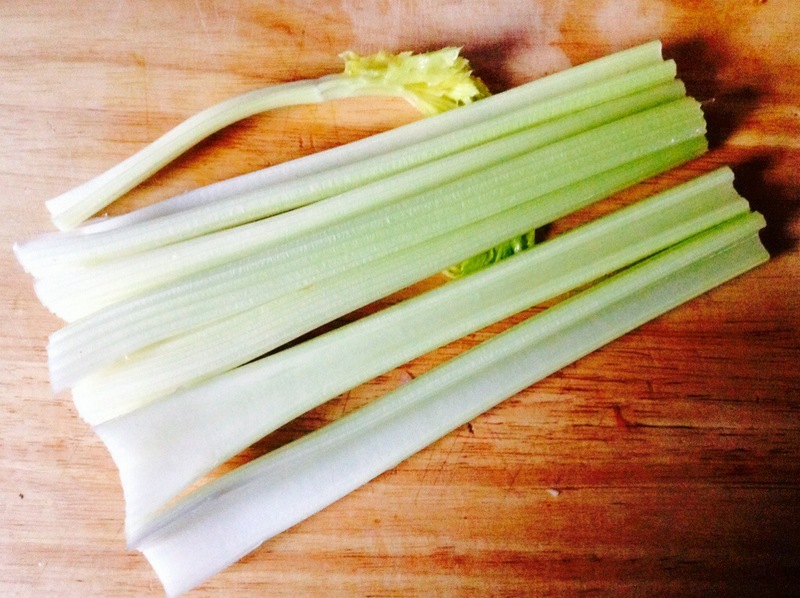 This week I’m singing the praises of the much hated and underused celery. With all the tv shows these days with celebrity chefs purporting to show people ‘how to cook on a budget’, it’s meals like this one that prove to me that they have definitely lost touch with what budget is. Celery costs next to nothing and with the addition of a stock cube, an onion and a dash of milk, cream or créme fraîche you’ve got yourself a meal for two hungry people. There isn’t really a recipe, you just simmer everything for 15 minutes and then blend and add the cream. Done. So save yourself some money and give a little love to that poor old celery that’s been sobbing quietly in your fridge waiting to be used. I don’t know why celery is so reviled. I love it raw or cooked and your soup looks delicious. It was simplicity itself and very satisfying.